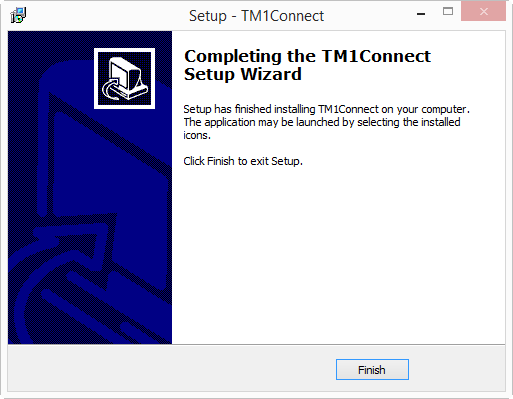 This section provides you with the details for installing, configuring, and testing TM1Connect. 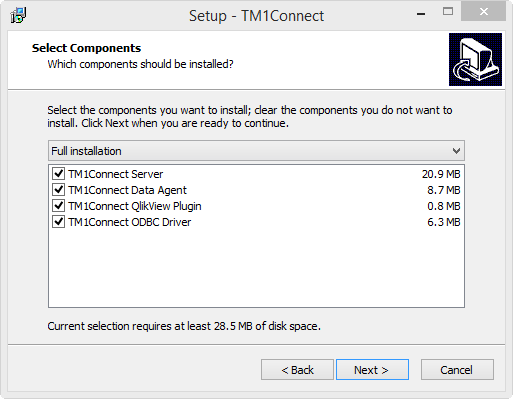 Prior to running the TM1Connect installer, it is recommended to perform install and/or configure each of the Prerequisites below. If you do not, TM1Connect may not install nor run properly. Please select your operating system for the specific configuration required. 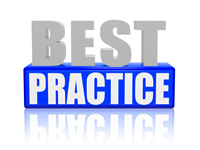 Ensure that, at a minimum, your system has all of the prerequisites properly installed and configured. TM1Connect provides two methods of connectivity to TM1. All functionality is the same between these two connectivity modes, however, the TM1 Native API requires the availability of the TM1 APIs on the same machine as the TM1Connect Server and TM1Connect Data Agent. If TM1Connect Server or TM1Connect Data Agent are installed on the same server as TM1 Server, no additional installation is required. Just be sure to note the folder location of where the TM1 Server was installed. Typically, C:\Program Files\IBM\Cognos\TM1_64\Bin64. This will be used during the setup and configuration. Click Next to continue with the setup. This screen allows you to set the directory where TM1Connect program files are stored. Although not required, TM1Connect Data Agent should always be installed on or in close proximity to the TM1 Server. The Data Agent needs to communicate with TM1 directly with large amounts of data. If this is installed on a separate server, performance will be impacted. If you have selected to install the TM1Connect data agent, you will be prompted for the location of the data folder that will hold all of the temporary files as well as the output files (QVX, CSV, TXT, etc.) in separate directories within this location. Set this path to the appropriate location and click Next to continue. When prompted for the TM1 installation directory, you must supply the proper location where the TM1 binary files are located that are appropriate for the platform that TM1Connect will be running on (64 or 32 Bit). If this directory is not specified correctly, you can continue with the installation, but TM1Connect will not be able to connect with TM1 and will fail. The default path for the TM1 installation files are shown below. The remaining setup screens provide you with options for setting the location of the Start Menu Folder and Shortcuts, and finally the option to initiate the installation. Once the installation is complete, you will be taken automatically to the configuration page. An initial, correct configuration is required to run TM1Connect. For details on configuring TM1Connect see topic Configuring TM1Connect. Finish the installation by clicking Finish.